Your smile is often the first thing someone remembers & having misaligned or crooked teeth can negatively impact both your health and your image. Creating beautiful smiles is our #1 priority for our patients when it comes to braces and orthodontics. At Carson & Carson, DDS we offer orthodontics services such as Invisalign and braces to treat a multitude of dental issues. If you are interested in an affordable set of Clear Aligners or Braces from a premiere Oxnard Dentist with over 45 years of experience, call us today at (805) 983-0717. We offer many types of braces as a form of treatment at Carson & Carson, DDS. 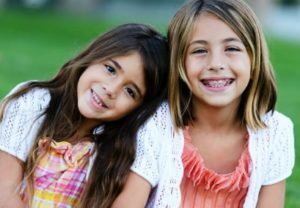 Traditional braces are the go-to option for fixing a variety of Orthodontic problems. They function through a system of wires and brackets that are adjusted every 4-6 weeks to gradually increase the effect of the braces and the pressure caused by the increasing tightness slowly shifts the position of your teeth. If you are looking for a quicker solution than having braces for a couple of years, check out our Invisalign page. Missing Teeth: Missing permanent teeth are a critical issue to deal with because other teeth tend to do drift into the empty spaces that are left by these missing teeth. Braces are a potential solution that can correct the clefts that are left in between your teeth. Cross Bites: When the jaw is misaligned to the left or the right, this can create what is called a Cross Bite. A Cross Bite is a lateral, or side to side, misalignment of the teeth that can result in difficulty chewing & speaking properly. Impacted/Blocked Out Teeth: Teeth that get blocked from erupting out of the gums. These teeth can create bad breath, irregular tastes, or even pain when chewing or opening mouth. Additionally, they can cause painful swelling in the gums that may have more serious consequences to your health. Crowding: This is when there is not enough room within the jaws to fit all teeth normally, but braces can help in creating the necessary space for teeth to grow in properly. Spacing: Excessive space in between teeth causing gaps. 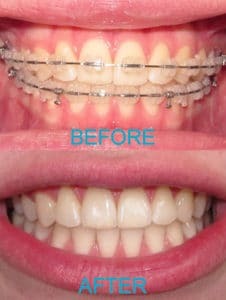 Braces are an ideal solution for correcting the improper spacing between teeth. Malocclusion: The improper alignment of teeth. This issue can be detrimental to your oral health if not corrected, but it can be remedied with orthodontic treatment. Pediatric Dentistry: Our team is fully qualified to provide the best quality orthodontic care for children. With over 45 years of experience serving Oxnard, our orthodontics team is committed to solving issues such as: Missing teeth, Cross Bites, Impacted/blocked teeth, Malocclusion, Crowding/Spacing issues, and Pediatric issues. At Carson & Carson DDS, we offer the finest grade dental materials and services in Ventura County! Visit us at Carson & Carson, DDS, the Oxnard dentistry that you can rely on during a dental emergency. This patient’s palette was far too small to fit all of his teeth. Braces were used to create the proper space. 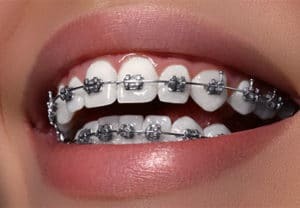 The process of installing braces begins with the attachment of metal brackets to the front or back of your teeth, connection of the brackets via metal wire, and attachment of the wire to the brackets via elastic rubber bands. Keep in mind, it is important to have teeth that are clean before the installation of braces because it is much more difficult to cement braces to dirty teeth. 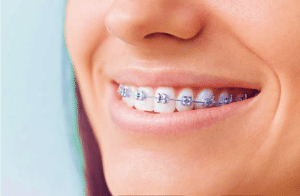 After installation or an adjustment, braces can be mildly discomforting as they exert pressure on your teeth to change the spacing/orientation of these teeth, but the sensitivity should only last a few days at most. The average time you may have braces is between 1.5 – 3 years, but the expected timeline is case specific based on your personal diagnosis. Alternatively, we also offer Ceramic Braces which are functionally identical to traditional braces, but clear colored so they’re less noticeable. 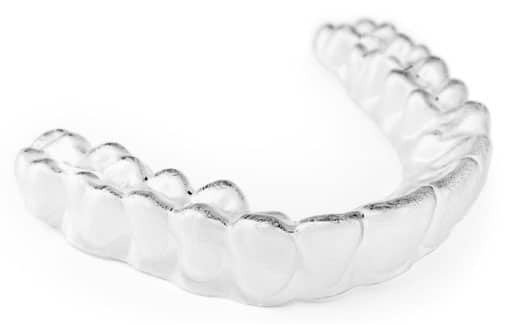 Our third available option for treatment is the Invisalign or ClearCorrect CAD/CAM Clear Aligners which are a custom-made mouth piece that straightens teeth whilst being almost invisible. Aligners are the potentially quickest and least intrusive option as they are a removable mouth piece rather than a full installation of braces onto your teeth & tend to cost nearly the same as traditional braces. 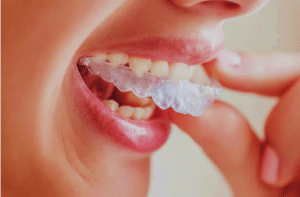 To find out more about how clear aligners offer a more comfortable, aesthetically pleasing alternative to traditional braces, check out our page on Invisalign. The dental practice of Carson & Carson are some of the most experienced and capable orthodontic dentists in Ventura County. If you are suffering from teeth misalignment or general dental discomfort, make an appointment at our Oxnard office today at (805) 983-0717. Since 1972, we have offered our affordable dental services to Oxnard, Camarillo, Ventura, Thousand Oaks, Port Hueneme, Santa Paula, Simi Valley, Westlake Village, Malibu, and the greater Los Angeles area. We also offer 24/7 availability for emergency dental treatment.